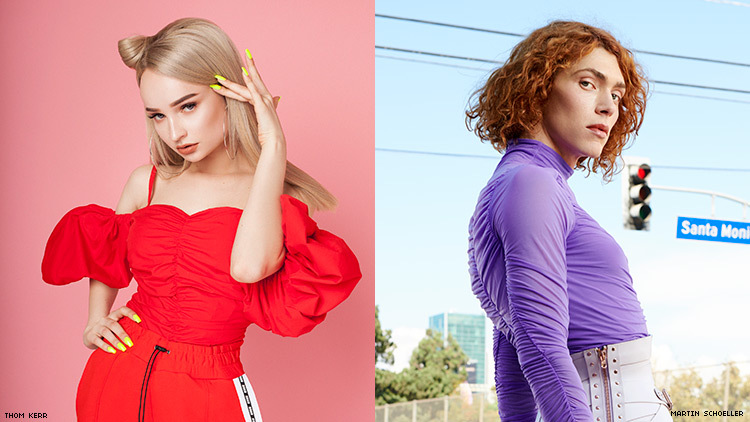 “I wanna party with Jesus,” sings Kim Petras on her new single, “1,2,3 dayz up,” a bubbly pop confection featuring SOPHIE, a collaboration the duo have been teasing for months. Yes ladies, we’re finally in possession of a certified t4t jam from two of the most exciting new pop artists. Petras released “1,2,3 dayz up” late Wednesday night as part of a trio of singles (not to be confused with an EP for...reasons?). “Homework” is an hip hop-infused slow burner featuring rapper lil aaron while “If U Think About Me” is a soaring, synth-heavy pop ballad that lets Petras show off her radio-ready range and deploy her signature catchphrase “woo-ah” approximately 300 times. Of the three tracks, “1,2,3 dayz up” is the clear standout, infused with just enough of SOPHIE’s uncanny knack for edgy pop production to set it apart from Petras’ previous songs. And it’s undeniably exciting to see these two trans women, one of whom might be taking home a Grammy this weekend, making music together. But while Petras’ team were unable to provide us with full production credits in time for publication, a cursory Google search reveals that these three tracks are all produced by infamous pop purveyor Dr. Luke, the producer accused of sexually assaulting and abusing Kesha, who has produced all of Petras’ music to date. In a 2018 interview with Out, Petras explained that Luke “comes in and polishes” her music.